While thousands of people invaded San Diego for Comic-Con this weekend, there was plenty of business at the box office as Universal Pictures and Illumination Entertainment’s latest animated effort, the spin-off prequel Minions, opened big with an estimated $115.2 million over the weekend. That makes it the second-biggest opening for an animated movie behind Shrek the Third‘s $121.6 million opening in 2007 and ahead of Toy Story 3‘s $110.3 million. What do all three of these animated movies have in common? 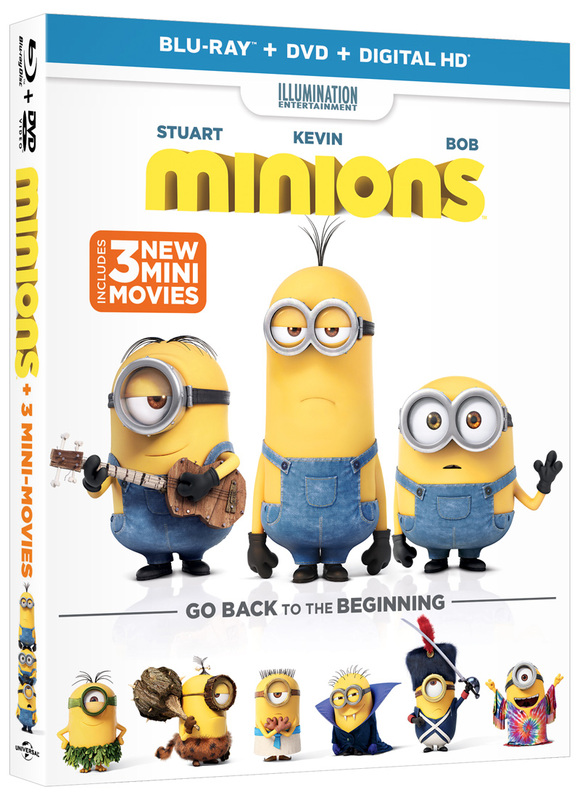 They’re all (mostly) the third installments in an animated franchise, although Universal already has the actual Despicable Me 3 scheduled for June 30, 2017. Minions opened in 4,302 theaters on Friday after grossing $6.2 million in previews on Thursday, which combined for a Friday gross of $46.2 million. Being the summer and with schools out, it actually dropped slightly on Saturday, but it still ended up averaging $26,800 per theater for the weekend, which just goes to prove that Americans love their Minions! Minions‘ international weekend estimate is $124.3 million in 56 territories for an international total of $280.5 million. The film opened in 30 territories this weekend and is No. 1 in 29 of them. Worldwide, the movie is up to $395.7 million. Universal’s other mega-blockbuster, Jurassic World, and the summer’s other big animated film, Pixar’s Inside Out, continued to battle it out for position in another too-close-to-call weekend. According to estimates, Jurassic World added another $18.1 million over the weekend to bring its domestic total to $590.6 million, down 38% from the 4th of July weekend. It should become only the fourth movie to ever gross $600 million domestically sometime next week. Internationally, Jurassic World earned another $21.7 million in 65 territories for an overseas total of $875.2 million. The film has earned $1.466 billion worldwide and is the fifth-highest grossing film of all time, behind Universal’s own Furious 7 ($1.512 billion). Meanwhile, Disney•Pixar’s Inside Out grossed an estimated $17 million for the weekend, down 43% from its third week move into first place, and it’s earned $283.6 million domestically, moving it closer to becoming Pixar’s third highest-grossing film. We’re hesitant to make a call on which one will take second place this weekend based on these estimates since things have shifted so much between estimates and actuals released on Monday afternoon. Inside Out added another $19.1 million internationally (opening in Korea with $5.1 million) to bring its overseas total to $151.8 million, helping Disney to cross the $2 billion mark internationally for the sixth consecutive year. It’s grossed $435.5 million globally with many big territories, like the UK, Japan and China, still to go. Fourth place went to Paramount Pictures’ Terminator Genisys, starring Arnold Schwarzenegger, Emilia and Jason Clarke (no relation), Jai Courtney and Matt Smith, which added another $13.7 million (down 49% from its opening weekend). With a domestic gross of $68.7 million, it looks like it will struggle to reach even to $100 million. Waugh waugh. Co-produced by Blumhouse Productions, the New Line Cinema horror release The Gallows opened meekly with just $10 million in 2,720 theaters ($3,682 per theater) to take fifth place. That’s even lower than Blumhouse’s previous low-budget horror movie from earlier in the year, The Lazarus Effect, which opened with $10.2 million on its way to just $36.1 million worldwide, although The Gallows probably cost even less than that movie’s $3.3 million budget. Despite a disappointing opening week, Channing Tatum’s Magic Mike XXL (Warner Bros.) bounced back and held strong in its second weekend with a minuscule 25% drop from last week to take sixth place with $9.6 million. So far, it’s grossed $48.4 million domestically. Seth MacFarlane’s comedy sequel Ted 2 (Universal) dropped to seventh place with $5.6 million, down 50% from the 4th of July weekend with a domestic total of $71.6 million so far, which is still miles behind the original movie. Gramercy Pictures’ sci-fi thriller Self/less, starring Ryan Reynolds and Sir Ben Kingsley, tanked with just $5.4 million estimated in 2,353 theaters, averaging $2,295 per location, to take eighth place. New Line’s doggie drama Max added another $3.4 million in its third weekend for a total of $33.7 million. The latest from Bollywood, the first of a two-part action epic Baahubali: The Beginning, directed by SS Rajamouli, opened in just 236 theaters on Friday and without much attention from American press, it still managed to score an impressive opening weekend of $3 million. That makes it the highest-opening Indian feature to open domestically, although it was helped by the higher price for tickets which cost $20 plus. At the same time, Baahubali also looks to set an opening record in its native country with an estimated first day gross of $12 million. The Amy Winehouse doc Amy (A24) also expanded into 341 theaters on Friday where it grossed an additional $1.8 million for a total of $2.1 million.